Success is shattering the wonderful life many executives thought they were building. They are dynamic, affluent, high achievers AND they are losing the very things they hold most dear… their families, their health, and their peace of mind. 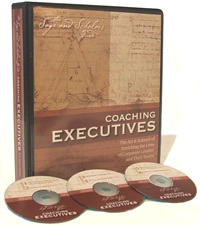 The secrets top earners in the coaching field have discovered are revealed in this dynamic multimedia program. You learn how to blend specific techniques and artful subtleties that produce dramatic results for your clients and lead to huge monetary rewards for you. The knowledge you gain in this program will enable you to charge higher fees and enjoy longer term clients. Learn the specific coaching techniques that gain the attention and respect of high paying executive clients. 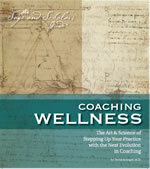 Demystify the “art” of Executive Coaching and understand the subtle nuances that make all the difference. Discover and decipher the secret language of “executive speak” and how to use it to open the doors to big clients. Go inside the head of an executive and learn how they think and what they’re likely to want AND need. Administer proven techniques that will lead to greater coaching success and MORE MONEY! Demonstrate tangible “return on investment” data to your clients and prospects that your coaching delivers. Established coaches looking to add executive clients to their coaching practice and Executive Coaches seeking to become extraordinarily successful. The program includes a comprehensive 112-page manual in an attractive 3-ring binder, plus three audio CDs.